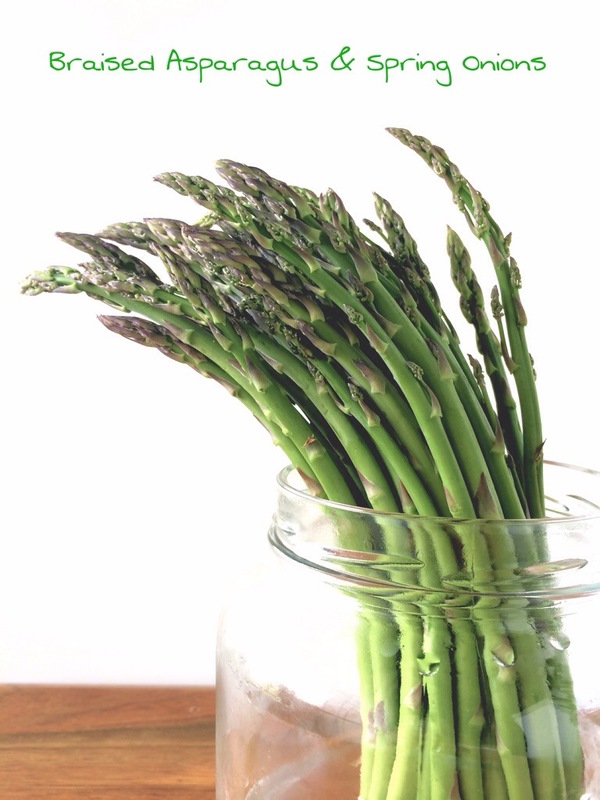 Tip: when you’re prepping your asparagus (cutting or snapping the tough ends off), don’t toss them out…save them to flavor the broth of an asparagus soup! And if you’re not going to use them right away, just put them in a freezer bag for later. 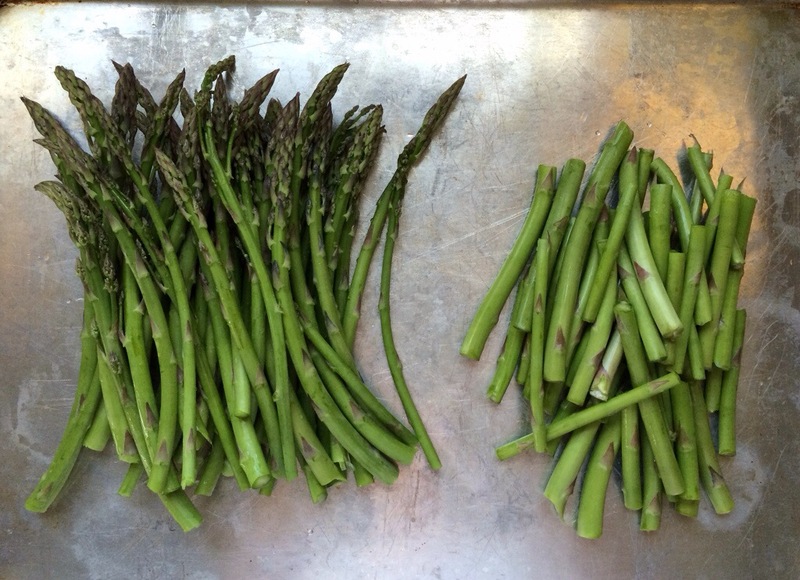 I’ve got a baggie of asparagus ends in the freezer as we speak…along with other (cleaned) veggie scraps that I’m saving up to make veggie stock. You can do this with mushroom stems, too! Heat 1 tablespoon of butter in a large cast iron or oval pan over medium heat (I used two small to medium sized cast iron pans); the butter should foam but not turn brown. 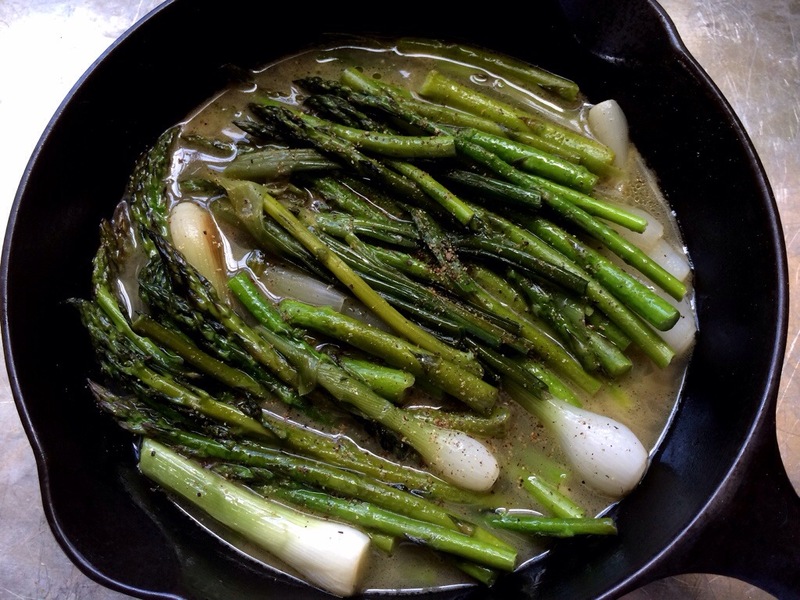 Add the asparagus, spring onions, a pinch of salt and vegetable stock (if the asparagus and spring onions don’t fit in your pan, cut them in half– this is what I did). Cover, reduce heat, and simmer until veggies are tender, about 10 minutes. 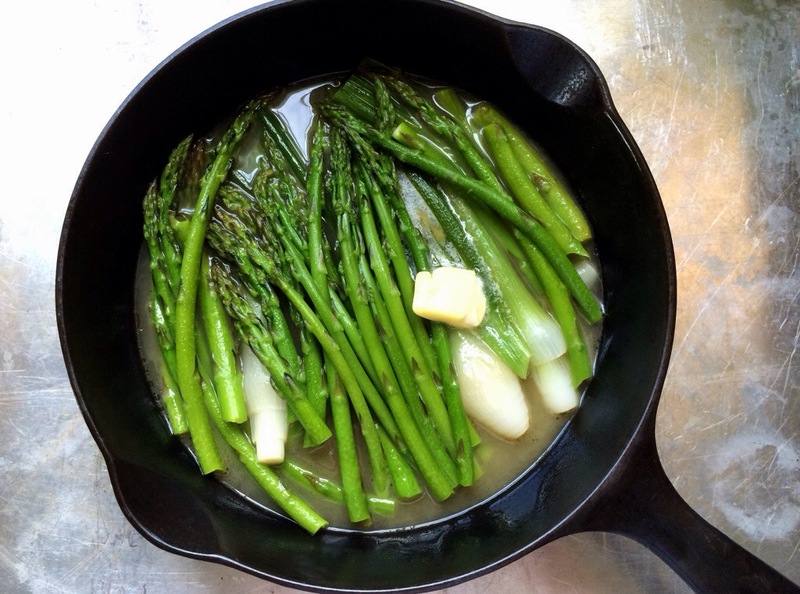 Add remaining tablespoon of butter and swirl pan to melt and incorporate into the stock, creating a thin sauce. Season with salt and pepper to taste. 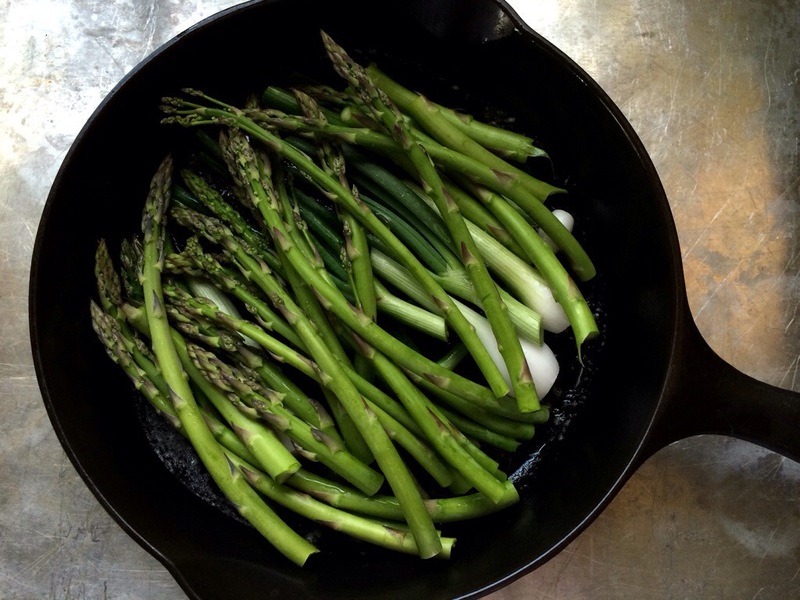 Serve with bread for soaking up any sauce. Enjoy!